UPDATED TO ADD: The pattern can be found (and purchased) on Ravelry. The designers name is Alana Noritake. Thanks to Marianne for supplying this info! The designers name is Alana Noritake. Monkey, thank you for posting. I just love this ‘yarn meet science’ stuff. Look at this! http://www.toroidalsnark.net/mathknit.html I haven’t succeeded in knitting a Klein bottle yet, but I have knitted a Fibonacci striped scarf. 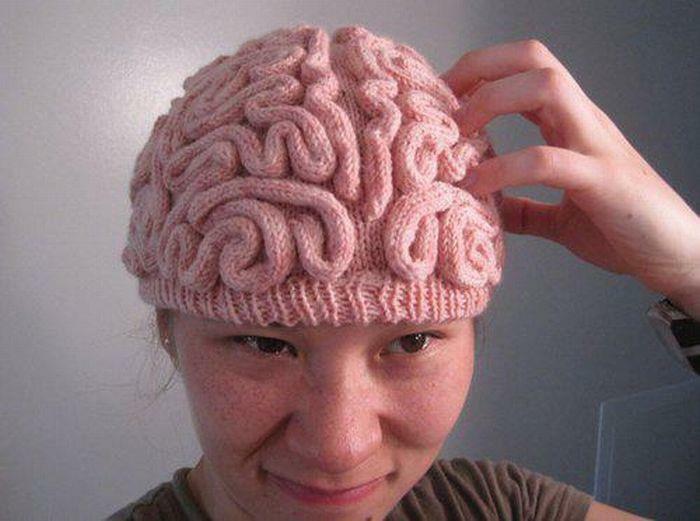 I can’t knit or crochet (which given my Mom’s former expertise at both is a shame) but where can I buy one? I simply love this. I want this! Although, come to think of it, it might be a bit too attractive in the ZA. You might like this little thing I did to try simulating knitting with code (http://blog.learnfromdata.com/2011/11/simulated-knitting.html), or this site I made to help knitters predict how their pooling will turn out (http://www.plannedpooling.com). I imagine the pooling may have some connections to number theory, but I haven’t really thought it through. Not all scientists have beards! This may surprise you, but women can be scientist too.